On August 6, 2018 Stacey Duncan, deputy director of community and economic development for The Agency Broome County IDA/LDC received certification as an Economic Development Finance Professional (EDFP) from the National Development Council (NDC). EDFP Certification is a professional credential given to individuals who successfully complete NDC’s intensive economic development finance training series. The training provides individuals working in the field of economic development with instruction in business credit analysis, real estate financing, loan packaging, deal structuring and negotiating and the creation and implementation of development programs. Each of the four EDFP Certification Program courses are five days in length and concludes with an exam. Upon successful completion of all four courses, the candidate is awarded EDFP Certification. Duncan joined The Agency in 2014. In her role as deputy director of community and economic development she directs the organization’s business retention and attraction activities, provides support for new project development and management and directs the organization’s communications and marketing strategy. Duncan also facilities the work of the Broome Talent Task Force – a public-private workforce and talent attraction coalition. 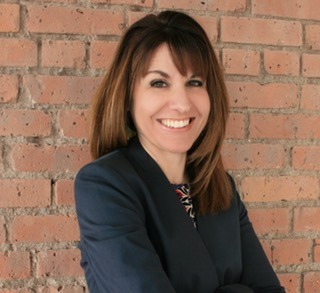 Prior to her role with The Agency, Duncan served as the first Executive Director for the Broome County Land Bank Corporation, newly formed by Broome County in 2013. She also served as the Government Relations Manager for the Greater Binghamton Chamber of Commerce, where she directed the Chamber’s business advocacy program and served as the lead liaison with local, state, and federal government elected officials and regulatory agencies. NDC’s work focuses on HOMES, JOBS and COMMUNITY. Founded as a national nonprofit in 1969, NDC has worked for 46 years at fulfilling its mission to increase the flow of capital for investment in low-income communities. NDC directs capital to support the preservation and creation of affordable housing, the creation of jobs through training and small business lending and the promotion of livable communities through investment in social infrastructure. NDC’s products and services are deployed for the benefit of our municipal and nonprofit partners in both urban and rural low-income communities. NDC has provided training to over 70,000 professionals working in the fields of economic and housing development. Participants come from diverse backgrounds including city and state governments, public agencies, community-based organizations, professional organizations and banks. NDC is headquartered in New York City with offices in Washington, DC, Seattle, WA, Cleveland, OH and Edgewood, KY. For more information about NDC, please visit: www.ndconline.org/.